There’s more to the Toon than Greggs! 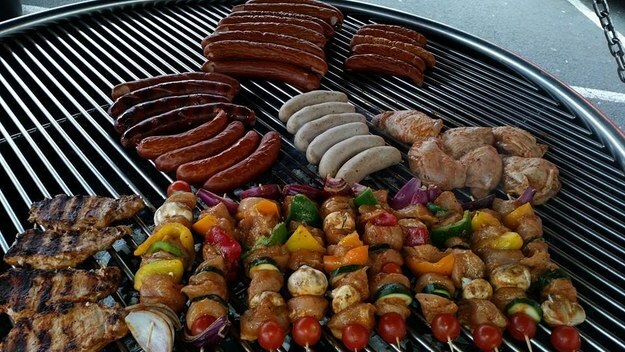 Get your chops round a Polish smokey sausage or try one of Lukasz’s amazing chicken skewer wraps. It’s all cooked over a charcoal pit so it’s as fat free as it can be and served up in fresh buns or wraps with his own coleslaw recipe – it’s without mayo and amazing. 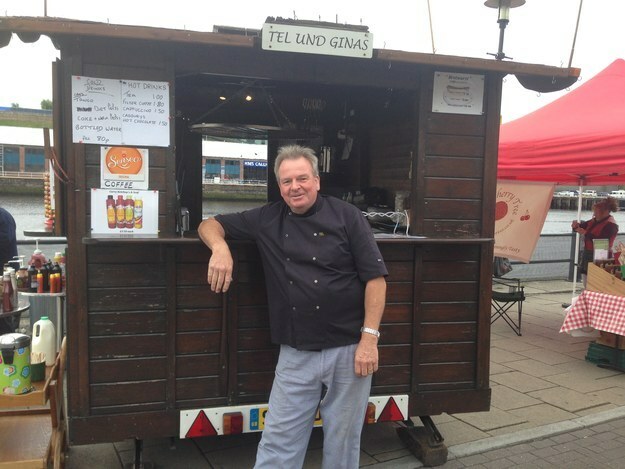 He’s on the Quayside on Sundays and does weddings and events too. See more on his website here and follow him on Twitter. Who said eating plants had to be boring? 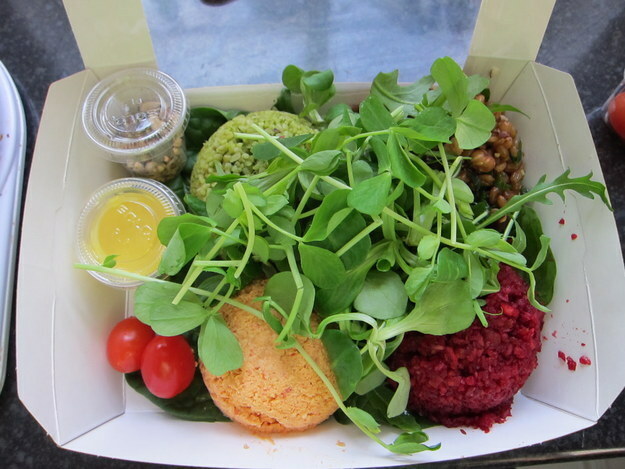 Vicky from Wheatberry has a fab range of salads like this Awesome Foursome, spreads like Totally Shredded and sprouts! Not the ones you have with Christmas dinner. They’re sprouted seeds and beans like alfalfa, snow peas and lentils germinated and eaten after a few days before they become adult plants. She’s at Newcastle Farmer’s Market, Jesmond Food Market, The Boiler Shop Steamer and Eat Festival, or you can arrange delivery. Pizzette make bubblingly beautiful sourgdough pizzas out of a 1975 Citroen van they’ve converted into a wood fired oven pizza parlour. It’s super cute and if you spot it, flag em down as Mick and his gang’s pizzas are AMAZING. Think toppings like Wild Boar, Duck, Lamb Polpette, Pistachio and Wild Garlic and very reasonable too. 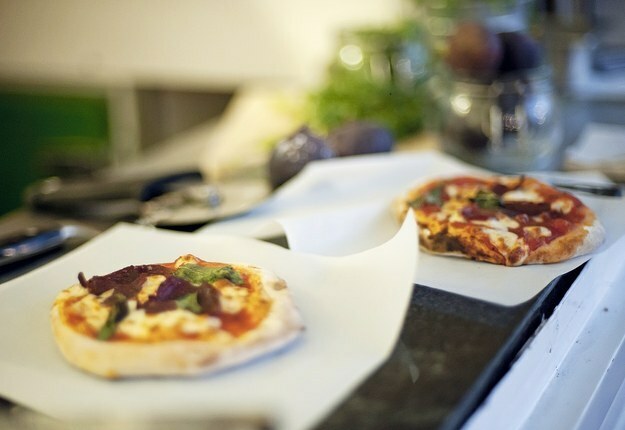 Pizzette is at Jesmond Food Market, The Boiler Shop Steamer, online and on Facebook and Twitter. Oi Oi saveloy! Fancy a foot long hot dog? Get yourself to Sloppy Joe’s.Their paninis are so good even your Sicilian Granny won’t need to make her own anymore. Choose from chicken with BBQ sauce, poshed up with parma ham if you fancy, spicy meatballs or for veggies, mediterranean veg, goat’s cheese and blueberry balsamic. They do healthy breakfasts, salads and smoothies too. They’re at Grainger Market and on Facebook. 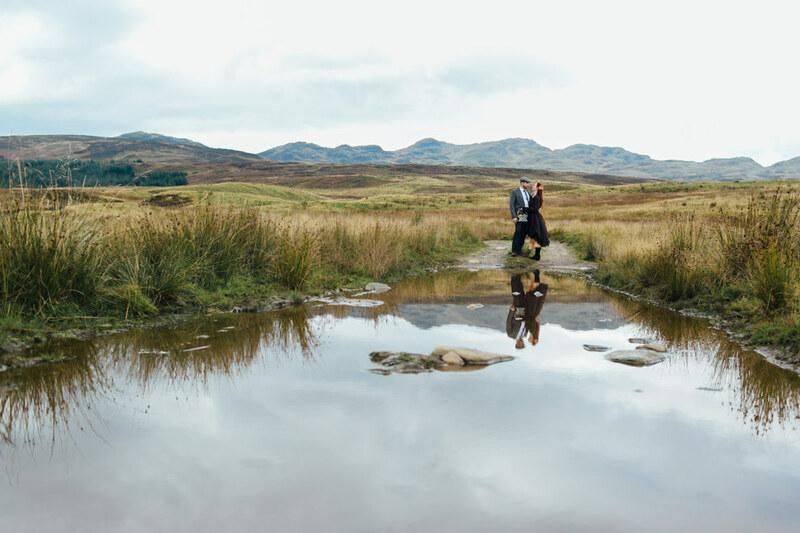 Toby and Lee are unleashing their passion for Asian food into the wild.Pad Thai is their signature dish, but they also do a mean lamb shoulder curry and pulled pork noodles. A meal deal of a wrap, prawn crackers and a chocolate brownie will set you back just £4. 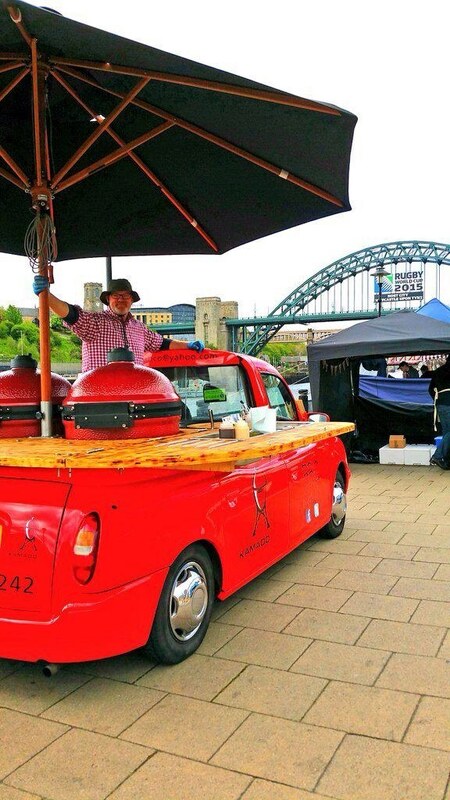 They’re at pop ups all over, the Boiler Shop Steamer, the Quayside on Sundays and run the Durham Streetfood Project. Check out their fresh and vibrant creations on Twitter and Facebook. Stalwarts of the Geordie street food scene, this pair have been knocking out Bratwursts for nearly ten years. Sample their famous Currywurst if you need to sweat out a heavy night. And look out for their new Schnitzels and Nackensteaks too. They’re on the Quayside every Sunday. 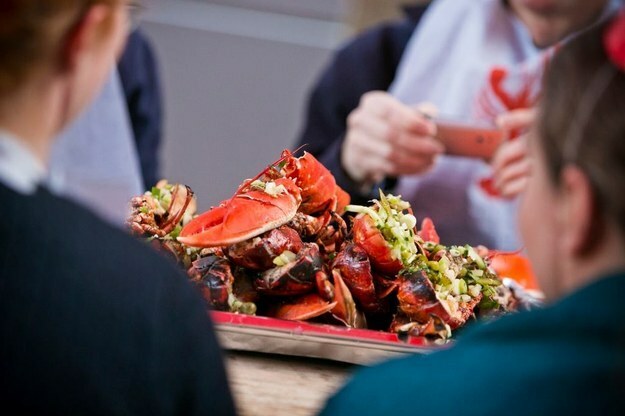 Anna AKA The Grazer is the Pop Up Dining Queen of Newcastle and tailors her menu to any requirement, from American to BBQ to fresh local seafood. 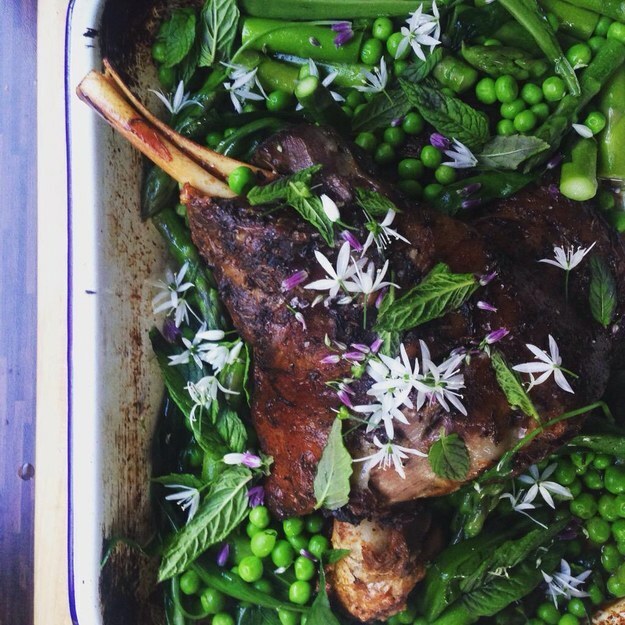 Supper club dishes include roast lamb with spring veg, wild garlic and chive flowers. She’s at Jesmond Food Market as one of the founders and puts on suppers all over including outdoors at Lindisfarne Castle. Find out where she’s going next on her blog, Facebook or on Twitter. We all love fish and chips but there’s more to seafood than battered cod. Fabulous fish, locally caught and simply served is what Riley’s pride themselves for. Try their mackerel wrap, monkfish or squid on a stick. Find them at the Boiler Shop Steamer at Wylam Brewery on the first weekend of every month, online and at King Edwards Bay in Tynemouth and on Facebook. On The Goa set out to recreate the Indian road side cart experience with dishes from the beaches of Goa to the streets of Mumbai. 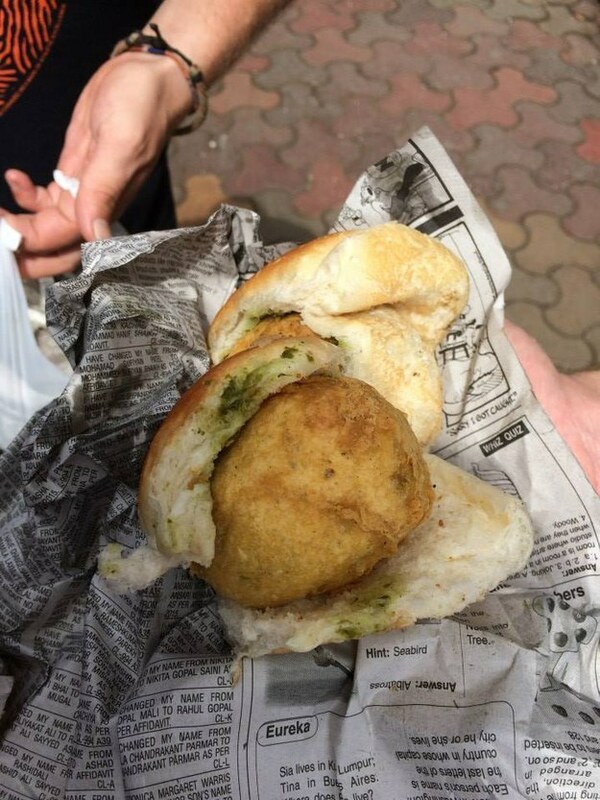 Try their Wada Pao, a deep fried garlic potato ball served in a bun, or Bhel Puri, a cold snack made using puffed rice. They’re at the Quayside Market most Sundays, Boiler Shop Steamer, and on Twitter and Facebook. 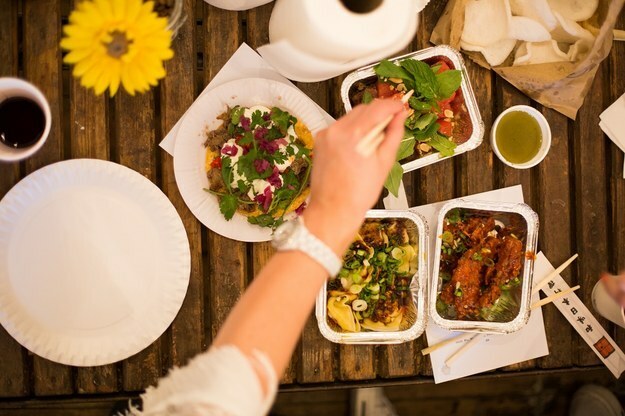 Shaun and Tom will do a pop up anywhere, from cafes to disused shipping containers. They pride themselves on bringing music and good food together. Love sharing? They do tasty south east Asian, Mexican and American inspired recipes mastered during their time working in kitchens all over the world. Think crackers, dumplings, pork belly and fried chicken and they mix up the menu a lot. Find out how you can hire them and where they’ll be next here and they’re on Twitter too. Parlez vous Geordie? 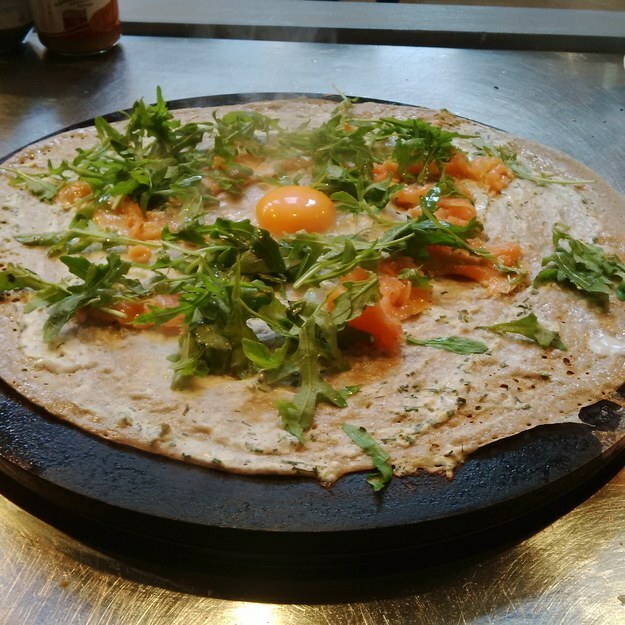 Then you’ll have heard of Le Petite Creperie which has gone down a storm on the Toon with their crepes and galettes. You must try their salted caramel crepes as they make the caramel themselves – not to be missed – and the savoury galettes are magnifique! They have a stall on Grainger Market and you can catch them at Jesmond Food Market, Quayside Market, the Boiler Shop Steamer and on Facebook. One man band Michael started by knocking out meatballs, but now does huge pans of tasty Italian, Mexican and Moroccan dishes served with flatbreads and salad. His Moroccan lamb meatball stew is lush and topped with a pomegranate! He’s at Tynemouth Markets on Saturdays, the Quayside most Sundays and on Facebook and Twitter. Dabbawal do street food in a restaurant, but it’s so good we had to include it. 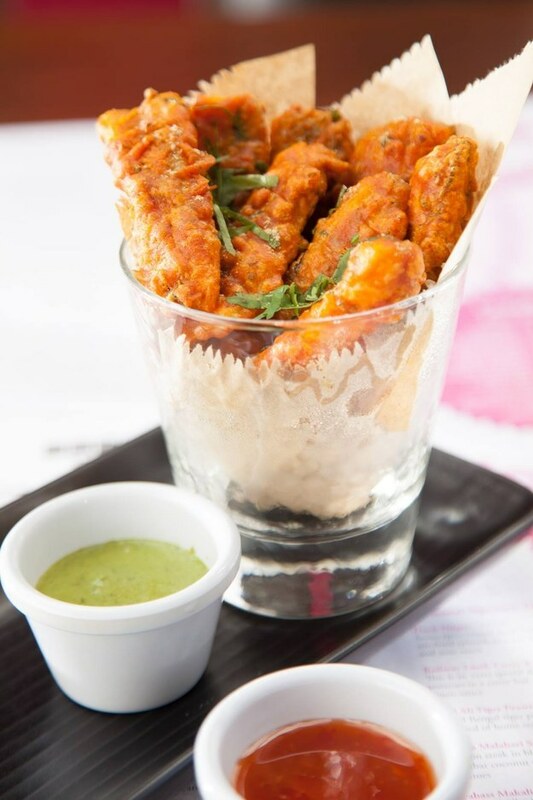 Think super fresh curries, samosa, grills, wraps and soups and Maach Bhaja - Indian fish fingers. They have a place in Jesmond now too. Find out more here or on Facebook. 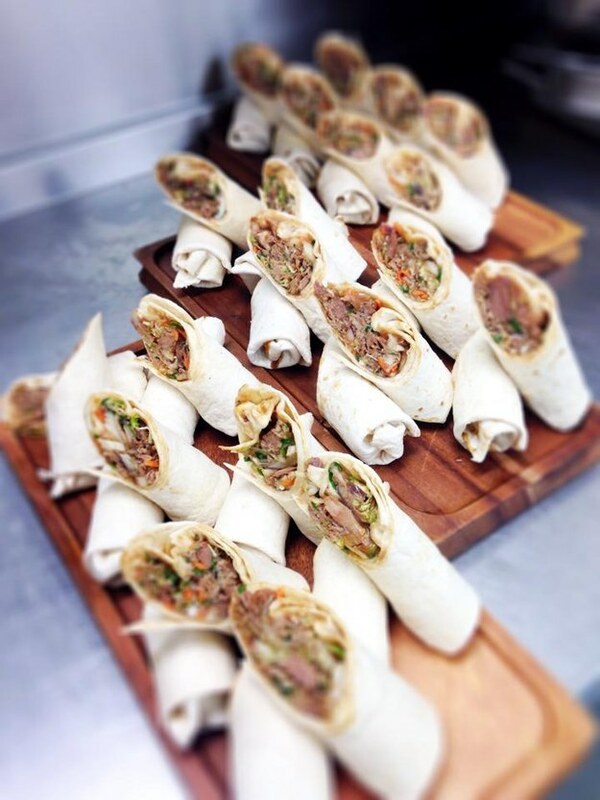 Love Middle Eastern grub? These guys cook everything from scratch while you wait. Try Lebanese Chicken Shawarma topped with fresh hummus or their cucumber and harissa relish which they dub a “smack in the face”. 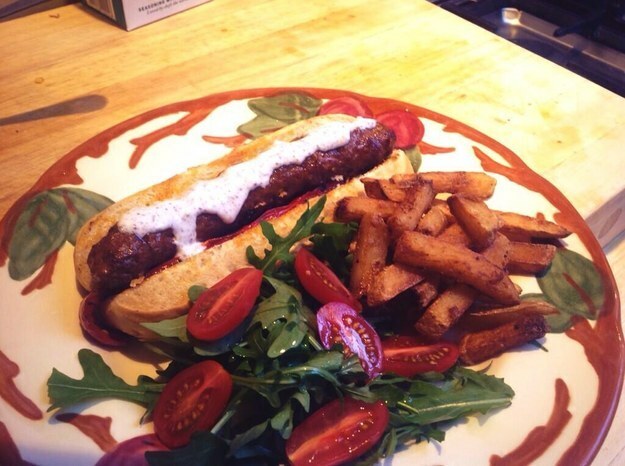 Or their Merguez hot dogs! They’re popping up at food and beer festivals all summer. Find them at Jesmond Food Market, the Quayside on Sundays, Twitter, and online here. This does just what is say on the tin – it’s a barby on the back of a taxi. Andrew flips burgers and bangers on two giant egg shaped cookers from his retro red TX1 London cab. You must try his 24 hour brined and pulled pork which he spices up himself and his jerk chicken, cheese and chipolte with BBQ sauce and dirty rice. He’s at the Free Trade Inn on Fridays, regularly sells out at the Quayside markets, and pops up at festivals all over the North East. Follow him on Twitter. Fancy a bargain bite? 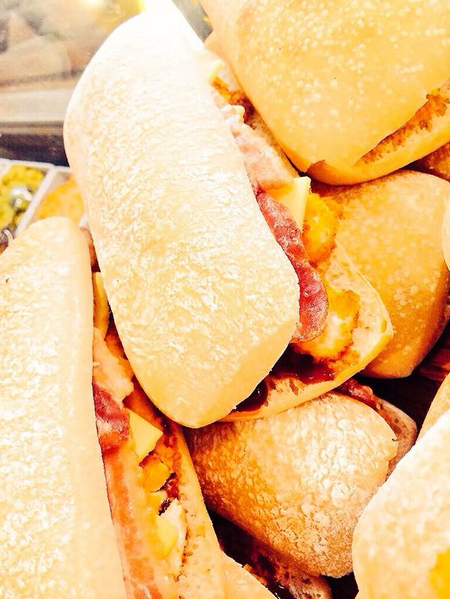 Get a roll with a tasty Spanish filling like Chorizo, Dulce de membrillo and mozzarella, Tortilla Espanola for just a quid! 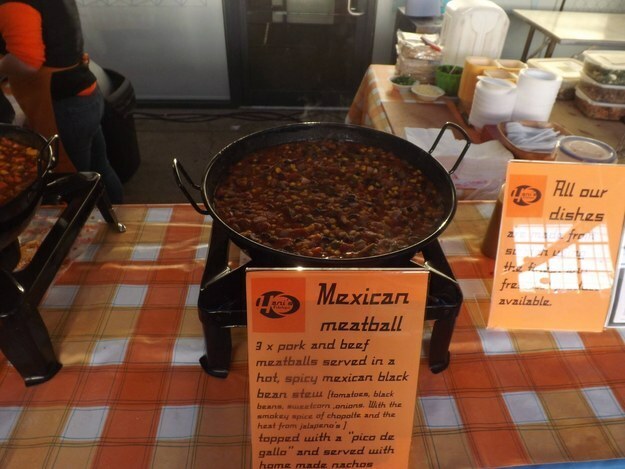 These guys are newbies to the street food scene and will rustle up a burger or Spanish black pudding in a bun from their premium range for only £1.50.There’s over 50 different creations to choose from and these bargains won’t be up for grabs for long! Find them at the Quayside on Sundays and on Twitter.